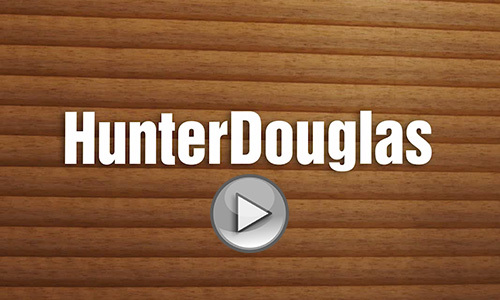 Hunter Douglas Metal Blinds are clean and functional for ease of use and a look that enhances any room in your home, offering maximum light control. Available in several slat sizes to best fit your needs. 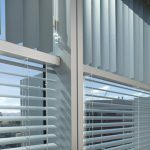 Lightlines® blinds are standard with the de-Light™ feature, which hides cord holes to block unwanted light creating a sleek appearance. Slat are made from our spring-tempered alloy with up to 95% recycled content and are designed to “bounce-back” even with rough handling. Available in 1/2″ and 1″ premium, 8-gauge slats. 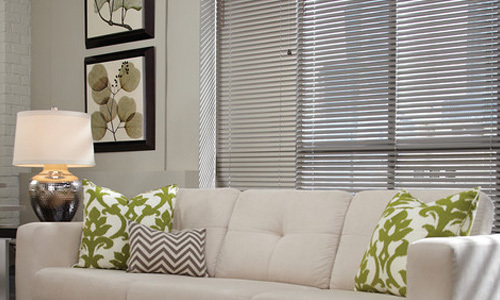 Décor® blinds feature traditional rout holes and contoured designer headrail for a sleek, fashionable look. Slats are made from our exclusive, spring-tempered alloy with up to 95% recycled content and “bounce-back” to handle rough treatment. 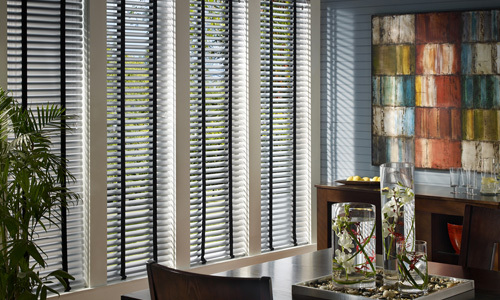 Available in 1/2″ and 1″ premium, 8-gauge slats in exciting colors and unique finishes. 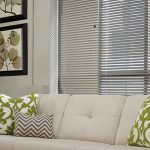 Celebrity® blinds provide an economical, yet attractive, window covering option. 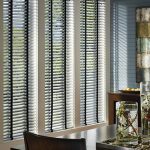 Basic 6-gauge slats are made from our exclusive, spring-tempered alloy with up to 95% recycled content and “bounce-back” to handle rough treatment from children and pets. A matching beveled headrail is a standard feature. 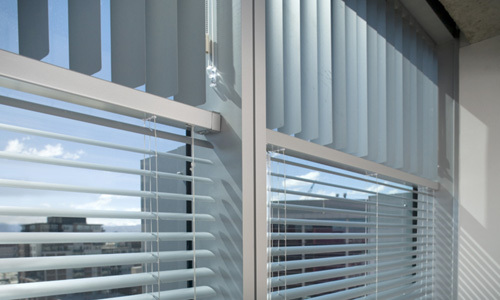 Macro 2″ aluminum blinds from the Modern Precious Metals® collection are made from premium 8-gauge slats and the perfect choice for a more dramatic look on large windows.